A play of stripes, a beautiful fabric, and impeccable style. 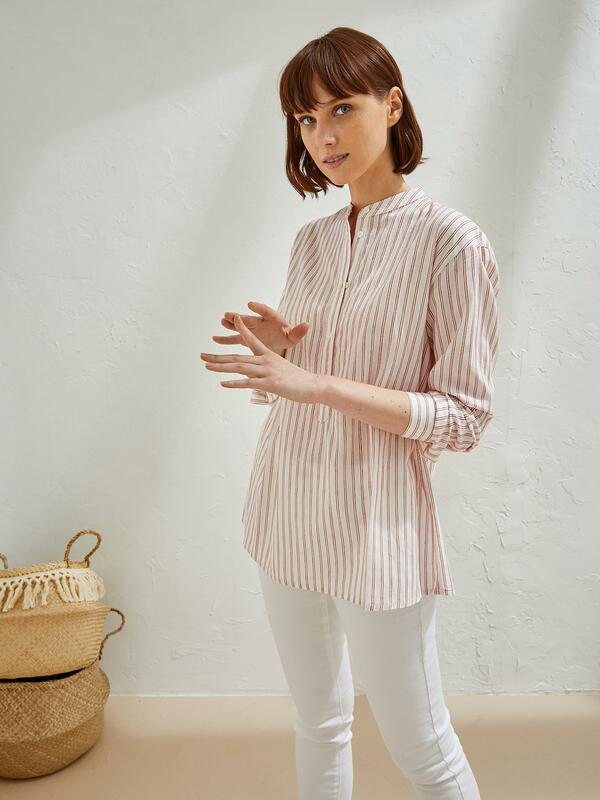 A shirt to wear for everyday timeless chic. Mandarin collar. Front button fastening. Offset shoulder seams, lightly dropped arms. Flat pleat from the back square yoke. Long sleeves, button cuffs. Slightly rounded hem. Length, 67cm approx. Cotton and viscose: a blend with a light sheen that brings the fabric a soft lightweight supple drape.